AMBITIOUS plans to create a vibrant new hub in Nottingham’s biggest suburb with new homes and leisure facilities will be revealed to the public this week. 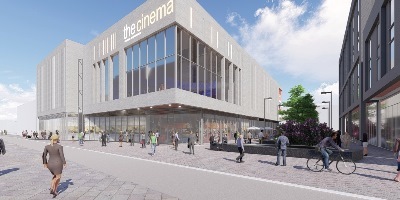 Broxtowe Borough Council has launched a public consultation on its plans for phase two of the Beeston Square development which proposes 120 new homes, a cinema and greater choice of food and drink venues. Outline building plans, CGIs and information on how to feedback on the initial designs will be available for the public to view in the foyer at Broxtowe Borough Council offices in Beeston between Monday 16th April and Friday 27th April. The two-acre site earmarked for development is currently being used as a car park and sits alongside the recently improved tram line. The development aims to revitalise Beeston’s night-time economy driving increased footfall to the town from the local and surrounding communities. The initial designs will be displayed at the Council Offices, Foster Avenue, Beeston, Nottinghamshire, NG9 1AB, which is open between 8.30am and 5pm Monday to Thursday and 8.30am to 4.30pm on Fridays. The designs have been developed by Nottingham-based Leonard Design Architects. The scheme is expected to start onsite in spring 2019, subject to planning approval and is being marketed by agents HEB and JLL. 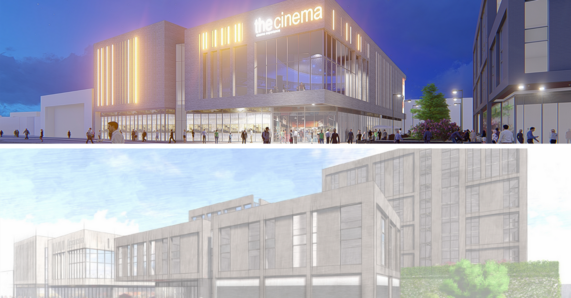 Your views are important to us, tell us what you think of these artist impressions of The Square Phase 2 Development using our online survey. The ‘designers’ of this so-called developememnt should be ashamed … it is totally lacking in any imagination or design ability whatsoever .. it is clear it is only motivated by profit.. Beeston is an inteesting suburb in the centre of England ,, it has missed the chance to set an example of a creative response to the form of a new public space and housing in the new digital culture … shame on you Beeston! Particularly you have two fine schools of architecture in Nottingham and a very good School of Art to give you a range new ideas and a fresh approach to your urban opportunities.. perhaps you should think again? Have a competition? Why settle for this mediocre proposition when you could follow the example of so many towns and see architecture as not merely solving problems but through imagination adding both beauty and practicality to inspire, give pleasure and opportunity.